Inspiring children (and indeed grown-ups) to engage in the online safety agenda doesn’t always have to mean that a high-tech approach is always needed. 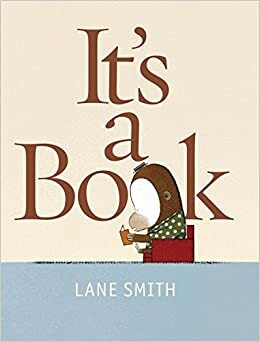 Sometimes a storybook can be a fantastic and yet simple way to help adults explore ideas, concepts and issues in a way that supports and engages young children in often complex and abstract ideas. Online safety resources can sometimes assume that adults have prior technical knowledge and this can sometimes be a barrier to professionals feeling able to explore issues confidently within the classroom. Storybooks provide amazing opportunities for teachers and parents to read together and learn with children, and is a familiar task for adults which helps build our confidence with the subject matter. These books can be used to start conversations about online safety early (and often) and enable us to explore children’s knowledge and understanding about online behaviours and risks. Storybooks can enable adults to confidently facilitate age appropriate discussions about online behaviour, as well as considering the wider impact of modern technology on everyday values. Following requests from schools, professionals and parents this blog post will highlight storybooks which can be useful to help education settings, professionals and parents and carers consider issues related to keeping children safe online. Where possible the post has included examples and/or linked to websites and activities to support teaching and learning using these resources. Activities, case studies and suggestions with the examples are often transferable for other resources and can be adapted to meet the needs of children. Please be aware that this post is not sponsored and should not be considered as an endorsement. Age recommendations are for guidance only and children’s needs and abilities should always be taken into account. Be aware that whilst this blog has linked to popular book selling sites for simplicity reasons, these books are also available via other popular retailers. Digiduck is available in a variety of formats (including Spanish and Norwegian) and was produced by Childnet International to help Foundation Stage and KS1 children explore the idea of being a good online friend. Digiduck needs help to make a difficult decision about sharing photos online. Digiduck can be used to discuss issues such as online friendship, taking and sharing photos safely, online gaming and responsibility online. The Digiduck resource also compliments another e-Book by Childnet for children aged 3-7 called “Smartie the Penguin“. The Digiduck resource includes example questions for parents and professionals to use to discuss key ideas and topics with children. A Children’s Centre used the Digiduck book to create story sacks for parents to borrow and take home and use with their children. 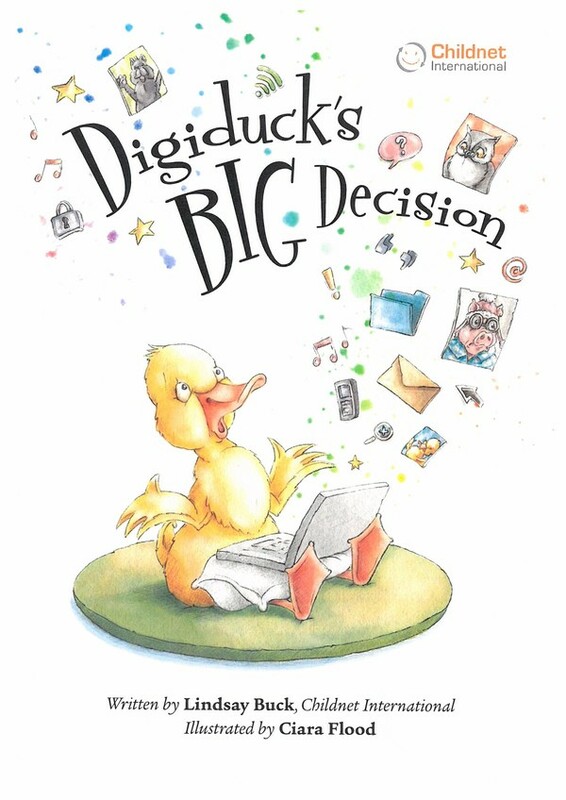 A School used Digiduck and Smartie as part of a transition story-time and invited parents to attend and listen which meant that both children and parents were engaged in online safety. This helped to support the school in developing a partnership and cohesive approach to online safety education both at home and at school from the very start of children’s journeys. 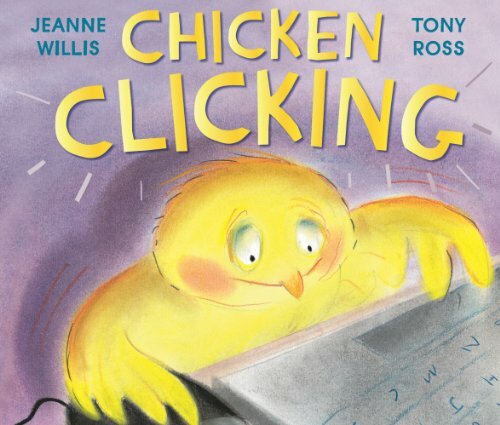 Chicken Clicking can be used to discuss issues such as password safety, supervision, posting personal information, taking/sharing photos, meeting online friends and trust/reliability. Billy Goat and his best friend Cyril are messing about with the farmer’s mobile phone, taking selfies and playing games… until they find the number for a troll. Their Grandpa Gruff says trolls are bad, so Billy and Cyril decide to get their own back by sending mean messages. After all, trolls really do stink! Don’t they? 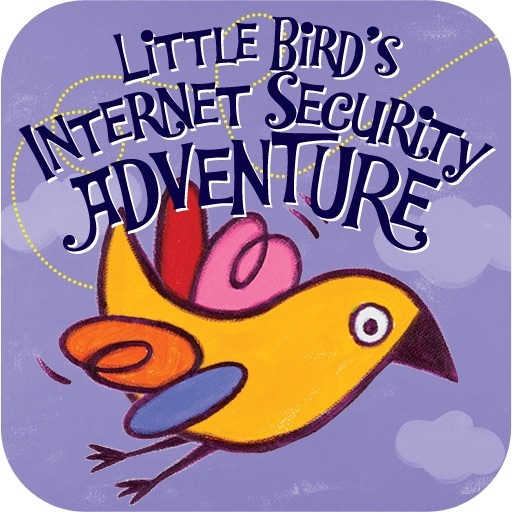 This story is a 21st century version of the “Billy Goat’s Gruff” fairy story, a familiar tale for both adults and children and provides opportunities for discussion about keeping safe online. 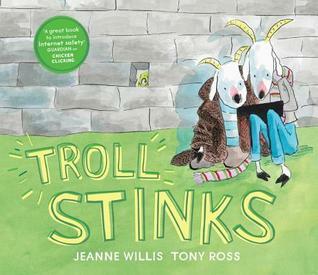 Troll Stinks can be used to discuss issues such as cyberbullying, being kind online and taking/sharing pictures. 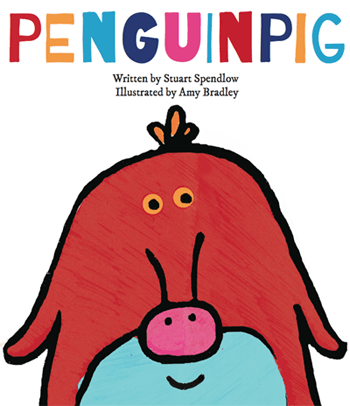 Written by primary school teacher, Stuart, Penguinpig is a story about a little girl who finds out about a magical creature online but her parents are too busy to help her so she sets off to find one. Penguinpig is a rhyming book which explores the issues of reliability online and the need to be aware that not everything online is true! Penguinpig can be used to discuss the issue of reliability and trust online with children. The main message within Penguinpig is that sometimes people use the internet to lie or trick other people and strongly emphasises that children should always check content with a trusted adult. Monkeycow can be used to discuss safe passwords with children. The main message is about the importance of keeping passwords private. 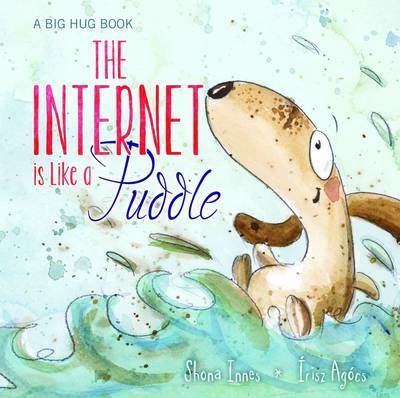 “The internet is like a puddle” uses the analogy of a puddle to explore both the fun and positive side of the internet but also to help children understand that there are often hidden risks below the surface. The book emphasises the importance of adults helping children to keep safe but also encourages children to listen to their gut instinct when something doesn’t feel right or safe online. The Internet is a like a Puddle can be used to discuss issues such as seeing upsetting content and talking to an adult. Webster’s Email is a rhyming story that explores the idea of sharing content online and how quickly things can be shared. 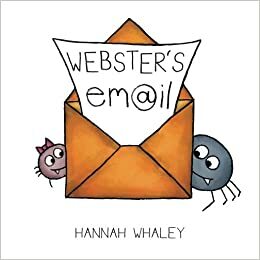 Webster the little spider emails a funny picture of his sister but it quickly is forwarded to lots of people and throughout the book, children can count how many people end up seeing the picture. This book encourages children to be aware that once a picture has been shared online, it can’t’ always be removed and it is very hard to control. Webster’s Email can be used to discuss email etiquette, over sharing, being kind online, taking/sharing photos, meeting strangers online and using technology responsibly. Webster’s friend is a rhyming story that explores the idea of making an online friend. Webster the spider meets a new online friend who he wants to impress but he isn’t honest about who he is. Things taking a surprising turn when Webster’s new friend wants to meet him! 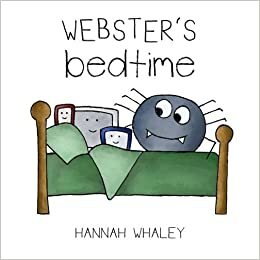 Webster’s Friend introduces the concept of online friends to young children and highlights the fact that anyone can lie online due to the anonymity of the internet. Webster’s friend can be used to discuss meeting strangers online, gaming, reliability, trust, speaking to an adult and using technology responsibly. Children could role play Webster’s Friend and create alternative endings. Webster learns about a new set of manners, helping him to be polite with technology and take care of his favourite gadgets and toys. However, the cheeky spider soon turns the tables on his daddy and makes him agree to the same rules! 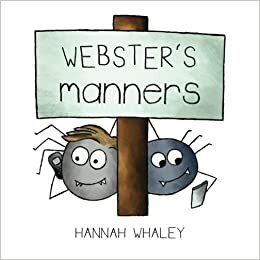 Told in a rhyming pattern, Webster’s Manners humorously helps children learn about responsible use of technology, while reminding grown ups that they can lead by example. Dot explores the story of a little girl called Dot who is very good at using technology. Dot knows how to tap, swipe and share online, but seems to have forgotten how to do things in the world – she then has fun exploring all the ways she can tap, swipe and share offline. 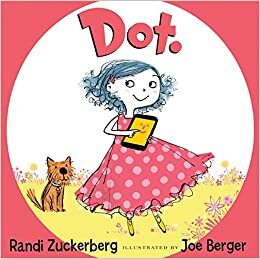 Dot is written by Randi Zuckerberg, sister of Facebook CEO, Mark Zuckerberg. Dot explores the need for children to balance internet use with offline world fun. It can be used to discuss using technology responsibly and the need for children to explore the world both on and offline. Dot doesn’t demonise technology and the book clearly shows that both on and offline play can be fun and exciting activities. 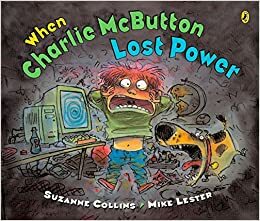 When Charlie McButton Lost Power can be used to explore addiction and gaming and the need for children to balance technology with offline fun. The book can be used to discuss empathy, using technology responsibly (including screen time) and the need for children to explore and relationships both on and offline. Little Bird can be used to discuss how to deal with pop-ups, requests for personal information, online bullies and spam websites, as well as the reinforcing the need for children to speak to a trusted adult if they encounter something online that makes them feel worried, sad or uncomfortable. 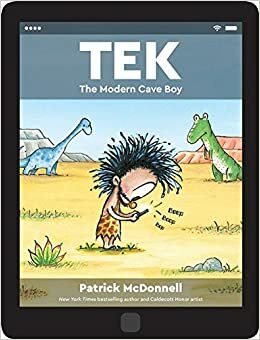 Tek tells the story of a cave boy in love with tech: his tablet, videogames, phone, and TV keep him deep in his cave, glued to his devices, day in and day out. He never sees his friends or family anymore – and his ability to communicate has devolved to just one word: “UGH”! Can anyone in the village convince Tek to unplug and come outside into the big, beautiful world? Tek is a tablet shaped book that explores the need to balance technology use with ‘real world’ activities. Tek can help explore the need for children to balance internet use with offline world fun. It can be used to discuss using technology responsibly and the need for children to explore the world both on and offline. Once upon a time, a laptop arrived in Fairy-tale land… A happily ever after is only a click away! Find out what happens when our favorite fairy-tale characters receive a laptop and learn a lesson in online safety. Using popular fairy stories including Jack and the Beanstalk, Little Red Riding Hood, Rapunzel and cinderella, the book explores issues such as safe shopping. This entry was posted in Childnet, e-Safety, Early Years, Primary, Schools, SEND and tagged Childnet, Early Years, EYFS, KS1, KS2, Online Safety, Resources, SEND, Storybooks. Bookmark the permalink. Thanks for this – we used Dot with our Year 5 who have 1:1 iPads and got them to use it as inspiration for creating posters to share with younger students – they really loved it! I have just purchased the list of books on Amazon! 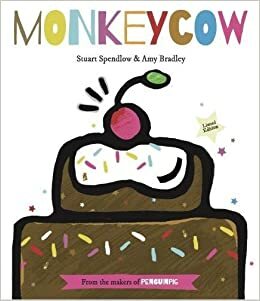 Can’t wait 🙂 Already have It’s a book which I have read to the children and plan to use the rest as starters for the relevant lessons and as a resource they can read themselves afterwards 🙂 Thanks! Hello. A nice activity for infants is to read DigiDuck and then ask the children to think about who they would ask to help them if they had an online dilemma – you can link this to the wise owl character or to Digi’s mum who are both shown in the book helping him. Get the children to draw themselves asking this person for help and looking at the ThinkUKnow site. Chicken Clicking is a bit scary for very little children (even juniors need a bit of reassurance that she’s not been eaten at the end) but a good activity for this book is to get the class to write letter to the chicken giving her advice for how to stay safe next time.